Each year, for the last several years, Bert Decker (my father) reveals his picks for the Top 10 best and worst communicators of the year. I know from first hand experience that Bert sees the world through the lens of effective communications. He has over 25 years of communications experience, and coaches executives such as Charles Schwab, athletes and politicians worldwide. Every year he publishes this popular list. Here are his picks from 2005 (last year) and below are his picks this year. You can see Bert's commentary and full post here. I may have attended 20 events and conferences this year. I've been to conferences all my career, but it was especially concentrated this year as an exhibitor, speaker and attendee. So, I've seen conferences, events and symposiums from multiple perspectives at events such as Internet Retail, eTail, Shop.org, SuperNova, WOMMA, iCitizen Symposium, adTech, SES, eMetrics, Creative Good, Forrester Consumer Forum, eComXpo (virtual conference), and others. iPods are great because they do so many little things right -- software, packaging, itunes, advertising. It's a whole experience. The goal is to create an iPod-like experience for conferences. 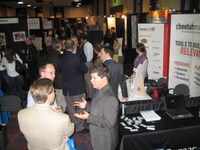 Attendees, exhibitors and speakers have limited time and money. Some can only attend one or two conferences a year. So excellent logistics, attendees and speakers make a conference stand out like iPod stands out among MP3 players. A great conference experience has great topics, ample networking, and a bunch of little things that just go right. So, in the interest of creating an excellent event experience for exhibitors, speakers and attendees, here are some of my tips (some big, some small) for creating a great conference experience! Send a Countdown to Hotel Sell Out -- Every conference has a preferred hotel with reserved room. Most attendees are procrastinators on booking the hotel. With a regular email tell them how many rooms are left. Send a "To Bring" Reminder to Attendees and Speakers -- No one does this. But why not send an email a couple days before the show reminding attendees to bring cards, a bathing suit if it's a warm area with a pool, sunglasses, etc. Send the expected weather forecast. And send logistics of the event (hotel address, conference address, etc.). This creates goodwill, excitement, and is a little thing that prior to the event shows you've got your s&%t together. Use an Online Extranet for Exhibitors -- Internet Retailer and Shop.org have very useful online systems to select your booth, rent furniture, get billing details, etc. This is a win win...I'm sure this reduces churn and time for the conference organizer and makes it easy, fast and convenient for the exhibitor to get their s&%t together! 20 Feet Badge Layout Test -- Whether you're an attendee or an exhibitor, everyone is looking at badges to find someone they want to meet or talk to. And this is the biggest motivator for coming to conferences. Can I see the name of the person and company on the badge from 20 feet away? Make the name and company name larger, and include the location of attendee (WOMMA does this). Blog Before the Conference -- WOMMA is the only conference that has a pre-conference blog. Attendees and speakers can submit tips and teasers to their show. These get linked from elsewhere and build buzz. Prep Speakers On the Phone -- Shop.org and WOMMA get on the phone with speakers to discuss how presentations should go, expectations, guidelines, templates, etc. This creates a high quality show and content. Reinforce what the audience wants to hear, show examples of high rated presentations, require case studies and examples, and reinforce no selling. An email won't do this...make the speakers accountable to the content organizer -- lest they not be asked back. Hand out a Pocket Agenda -- I'm sure some conference does this, but not the conferences above. Make it easy for attendees to see what's next without carrying a big book, reaching in the bag, and looking for page 5 in the big book. If you have a large badge holder, put it in the badge or on the back of nametags. Separate Content and Exhibitor Fees -- Should exhibitors be able to pay their way to speak? Would this create great content? Good magazines separate editorial from advertising. Conferences should do the same. If part of a conference's product are great speakers and topics, the event organizer should find the best speakers and topics...period. At online online retail conference, for example, you can pay to speak (and it costs a lot). Even if I had more budget than I knew what to do with, I wouldn't want to be associated sponsored speaking because as an attendee (and I am both), I wouldn't want to listen to sponsored speakers. I think the topics aren't as interesting and the content suffers. Anyone paying to speak will be more likely to 'sell' in an effort to recoup that investment. Give Feedback to Speakers -- Want great speakers to come back? Give them feedback. Send them video or audio of their presentation. Send them the scores from the session feedback survey. Great speakers always want to improve and they'll look forward to speaking at your conference next year if you give them feedback. Thank the Speakers -- For the same reason you want to give feedback to speakers, thank speakers after the conferences. I've presented at about 10 conferences this year and only one sent a thank you note after the event. That stood out to me. It made me want to refer other speakers to those conference organizers, and made me want to come back. It made me want to tell others to attend the event. Speakers are your product and they're your influencers for driving word of mouth attendance. Select Speakers Based on Feedback and Topic Popularity -- Conference excellence is based on logistics (facilities, organization, etc. ), participants (networking) and speakers (content). So, great content is based on the right topics and the best speakers presenting them. Select next year speakers based on previous years' feedback, attendee feedback and input on great speakers, and topic popularity. 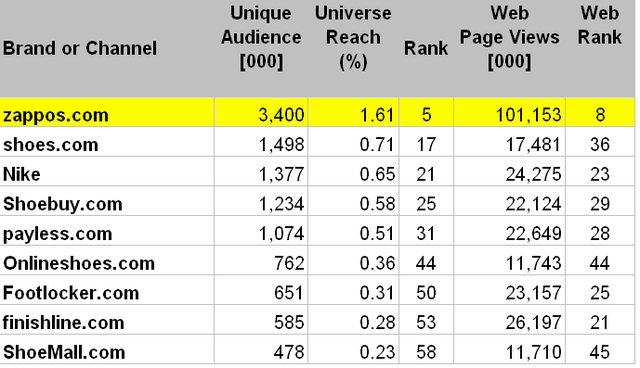 Topic popularity can be gauged by attendance to previous conference topics, most popular article topics online, attendance to other shows and its topics, and attendee surveys. Also consider topics and speakers based on brands that are popular. The most popular breakout at a recent Word of Mouth conference was one where Coca Cola, Dell and Microsoft were all speaking. Bring in Speakers with Wisdom, Emotion and Perspective -- In addition to selecting speakers that have good feedback and the right topic or brand, consider seeking out speakers that present wisdom, not just knowledge. What makes a keynote a keynote? Typically a great keynote makes you think, stretches your perspective, and is emotional and memorable. Certain speakers, perhaps not keynote-level, present their topics from a more strategic perspective. They can tell good stories. They simplify the complex. They share how knowledge is applied, and how things fit in a broader perspective. These are the presentations attendees remember. They forget the typical tactical breakout tips and tricks. And as a conference organizer, you want as much emotional and memorability from your conference. My guess is attendees typically forget and/or don't act on 95% of what they heard. Bring in Speakers and Topics that are "Off" Topic -- I ran into the VP of eCommerce for a major brand at Forrester Consumer Forum, who had just attended Shop.org (as I did). For her needs (higher level) she liked Consumer Forum better because it talked about topics with different perspectives instead of the tactical topics presented by all retailers. If you're a conference trying to attract senior execs, they are interested by the name and perspective of the keynotes (see above), and topics that will broaden their perspective. Otherwise, they've heard everything else before and the only attraction left is networking. Create Roundtables -- Shop.org has a popular section of their conference where brand leaders, sometimes with their agencies and vendors, present topical case studies. Roundtables are popular because they are targeted, small enough to allow Q&A and discussion, and they are great for networking. It's also a great way to find out what topics are most popular! One roundtable on organization issues had to put two roundtables together to meet the demand. Leave Time for Q&A -- At a recent WOMMA conference Dell, Coca Cola an Microsoft leaders spoke on word of mouth. They left no time for Q&A and everyone was disappointed. My sense is the audience would rather they spend 1/2 time presenting and 1/2 time for Q&A. This is why roundtables (above) are so popular. Format the session and instruct the speakers to leave adequate time for Q&A. Have someone in the room give the speaker 10 and 5 minute warnings (WOMMA does this). And make sure every topic ends on time so that next topics are not running behind, squeezing out Q&A time. I’m in D.C. presenting at the Word of Mouth Summit. I wanted to share my notes from today's keynote by Ted Leonsis, Vice Chairman of AOL(and owner of several Washington sports teams). Mr. Leonsis shared tremendous insight and perspective on how marketing has changed, and he presented it with disarming humility and sincerity. It was great to hear someone at his level ‘get’ what has happened to the market and marketing with such clarity, presented with simplicity. Give customers the opportunity to create, share, and self-express. It’s why there are 55 million blogs. Typically corporations want executives to ‘stay on message’ and to ‘be handled’…but that doesn’t pass customers’ sniff test. 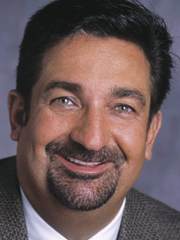 Mr. Leonsis, for example, typed his responses in chat room Q&A…typos and all. Their job at AOL was to surrender to the audience. To hold the mirror up to the audience. Fastest growing markets: Latino, African American, Boomers, Youth. Youth is an entirely different market (note: search Millenials on Google). He encourages kids to study Mandarin and Math. China is producing 260k college grade in Math. U.S. is producing 22k, 10k are foreign students. In a happiness study, factors of happiness are: Relationships, Community, Self-Expression, Giving Back, Pursuing a Higher Calling. Online can help these things. Ad spend is 8% online, while time per person per day is 17% online and growing. Shift in spend will follow. Early in his career he marketed to people. Now it’s marketing to algorithms and chipsets (ex: google). He gave a great story where his car told him he needed new tires and he went and got them…5 hours out of his day. Yet tire companies spend hundreds of millions to convince him to buy tires…his car prompted him. Customer is in control…your message needs to be there right time, right place. (my interpretation: strategic need for data flexibility, interoperability, democratization, normalization). Business Models 2.0 don’t need any marketing around them. AOL spent 10s of millions on spam technology. Someone recommended a “report spam” button. No marketing, self policing system. AOL now most spam-free system by user contribution. For his sports team, he captured 101 things customers didn’t like and he attacked them one at a time, and showed progress against them. Create products that aren’t tricky. Embracing the customer: Listen (be open), Create good products with virtue, Make sharing easy, Mirror the community. 7 Web 2.0 Virtues: Generosity, Sharing, Politeness, Openness, Communication, Respect for Individuals, Diligence. He made note, coincidentally, that the Jesuits considered these the secrets of success in life. Customers have two wallets: money and time. There is a lot here and I will likely blog about many of these concepts later. In the meantime, what stands out to you? Leave a comment. When you have kids and have gone through a series of Christmas seasons, you realize that sustainment of happiness from a present is usually longer in the mind than it is in reality. Sometimes, especially with toys, the euphoria ends on December 26! This season I'm taking a different approach. I'm approaching present-giving like capital investment. In business good strategy requires allocation of resources towards areas of growth. Capital is invested towards something that has long term ROI, and aligns with the strategic goals of the business. Apply this concept (loosely) to presents. 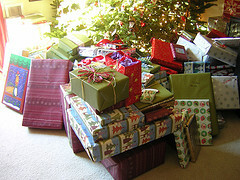 So, for your gift receivers (kids, spouse, family), what gift will help have sustainable enjoyment? And, what gift will help the person and/or your relationship with that person grow? I want our kids to learn experientially. So, I will buy gifts that will teach them new things they would not learn in books, but still enjoy. Example: I recently bought them SIMS City, Zoo Tycoon, and Rossetta Stone. I don't have as much time as I'd like to give to our family. So any gift I receive or give them should be accretive to quantity and quality of time with the family. Anything that builds family memories is good, like a camera for the kids so they can take pictures of the family and our life. A book for me on raising my kids (instead of my typical marketing / management books!). Family games that aren't boring would be a good thing. Gift certificates to dinner or events as a family. Etc. And finally, less is more. Or put another way, focus. We need to pick gifts that will be big hits. Not a lot of presents that are just ok. We do stockings which has an abundance of cheaper presents...they have a lot to open. But otherwise, a few gifts that are hits and have sustainable enjoyment and interaction will be remembered far longer than a pile of toys that get shelved a week later. That's my strategy for myself and my family this holiday season, and I thought I'd share it with you.